I am honoured and pleased as punch to be writing a guest post over at Whole New Mom. Adrienne has been so helpful in the blogging journey, generously sharing advice on what she has already learned. 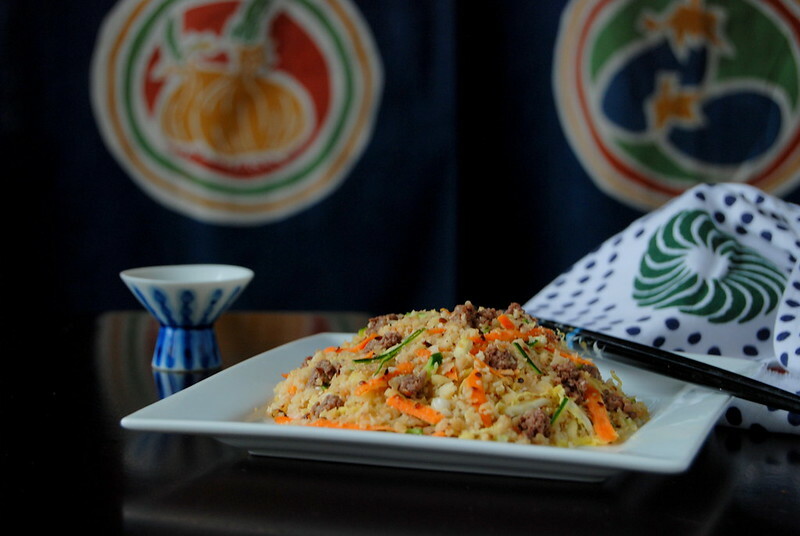 The recipe is inspired by the Korean dish Bibimbap, which means mixed rice. I’ve adapted it so that you don’t have to go find a special Asian store for the ingredients. You can make it with rice or, like I did, with cauliflower for a grain free/Paleo/low carb version. Hop on over to Whole New Mom and check it out! This entry was posted in Food and tagged AIP, dairy free, egg free, fall, GAPS, gluten free, grain free, meat & fish, nut free, paleo, vegetables, vegetarian, winter. Bookmark the permalink. This looks delicious! Love that you created this with cauliflower, yum! Have you taken all the different food photos too? I keep wondering if the dishes and backgrounds are all existing in your kitchen? Yup! I always think I have nothing, and then I pull things out of the woodwork.